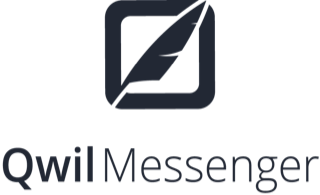 Qwil Messenger solves the challenge of making chat safe and compliant when it matters most: between staff, clients and partners. Our single, global chat app enables participants in any location to engage in branded, professional conversations with their companies whilst meeting the most stringent security and regulatory requirements. Simply swipe between each company's brand space and chat. Qwil Messenger has been engineered from the ground up to ensure each user’s identity is verified & trusted, their privacy maintained, and business data kept securely protected and hosted in multiple physical locations to meet the latest data protection regulations (e.g. GDPR).